If you're good with the data behind your marketing efforts, you're going to be good at marketing. Why? Having the numbers to stand on is only going to help you make better choices, course-correct when tactics start to lead you astray, and find the best choices for the right channels to make it all come together. 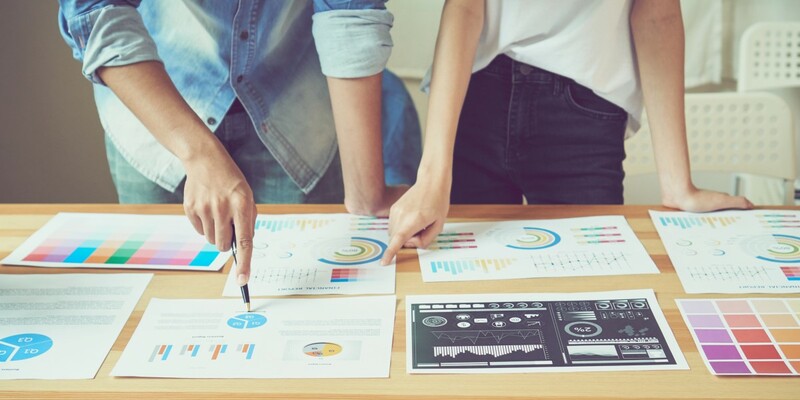 But if you are only monitoring internet traffic and leads involved with the marketing process, you’re leaving key marketing metrics behind - and with those metrics, opportunity. The right metrics guide strategy and optimize results. Not sure where to begin? Take a look. If you knew exactly where you were as far as goal progress went every single day, it might change how you do things, right? That's what this type of chart is for. It helps you see what has to be done from day to day, and it can help you achieve real results with regard to internet traffic and leads. If you find yourself falling behind, you can react quickly to get back on track. This is the same basic idea as the lead waterfall graphic, but it helps you take a closer look at the traffic numbers. That can be key to your overall lead goal, and again, if you see a massive dip, it can help you decide what change to make right away. On average, how many of the leads you obtain actually follow through to close? Follow these numbers on a monthly basis. If you start to see it falling off, it may be time to redesign your marketing program to attract better leads. Tracking month by month growth is nothing new. If you're not tracking each day of the month, though, you're not making the most of this data. Each month is a different length, for example. Adding the same number of leads in January and February would take massive growth because January has 31 days while February only has 28 (usually). You can also identify “hot spots” of activity during specific days. Tracking on a per business day basis helps ensure your numbers stay where they should be. You likely advertise on a variety of different channels (e.g. Facebook, Instagram, email, print, etc.). This metric will help you track how many leads you're getting on each channel so you can set some goals on a day to day basis and focus spending more strategically. This is one metric you need to take a closer look at because it can help you select where your brand should be marketing in the near future. It also helps you understand what's working best for your customers. For example, maybe social media just isn't bringing in the customers but email marketing is. A high close rate means you're crafting a better message and hitting the right people on one given channel - and that not only tells you where to spend more, but also maybe what to do with other channels. This is one of the key marketing metrics you should track. You have to know how many of the leads that come in do so thanks to the marketing dollars you spent, as well as how many of them come in thanks to your organic efforts like blogging and SEO work. You may get so good at the organic portion that you no longer need to spend quite as much money on one channel or another. How many leads are you getting for each offer you put out there? If you're not tracking that metric, you could have a real problem on your hands. You need to know what was worth creating and what was simply a waste of time. These numbers give you insight into what to do next. You probably know how many people complete the form on your landing page, but how many of those are new leads? Understanding whom you've worked with in the past helps you understanding just how effective that landing page is and whether it's getting new folks to walk through your virtual door. Your calls-to-action matter, and monitoring the click-through rate on those helps you know whether or not they're actually pulling their weight. Sometimes optimizing performance can be as simple as tweaking the call-to-action’s wording, buttons, or location. You're not looking at keyword ranking here. Instead, you're deciding which content keywords are actually impacting your traffic. You may hear it referred to as an MQL rate. It's the idea that some leads are ready to move down the funnel and others aren't. Getting this total number helps you understand which leads are quick to buy and which ones need a bit more nurturing over time. Channels really matter, particularly when it comes to MQLs. Knowing how many you attract from one channel or the other is valuable, as valuable as tracking the channel statistics themselves. How many of your leads are MQLs at any given time? If your company isn't as effective at attracting these leads, it may be time to reevaluate your process as a whole and make sure every lead is nurtured through the sales funnel. This is a bit like tracking your offer conversion rate, but you're looking at the rate at which someone converted on an offer then became an MQL. Imagine, for example, an email series meant 15% of those who signed up became MQLs. Your new landing page, though, had 20% of those who looked at it becoming MQLs. Obviously your new landing page is doing much better than that email series. Ready to start tracking? 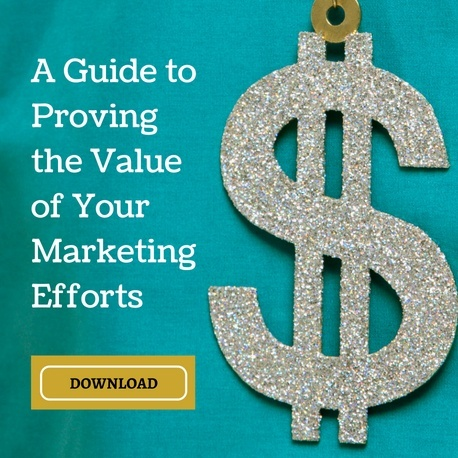 These key marketing metrics will certainly make it worth your while. If you need help, contact us today.